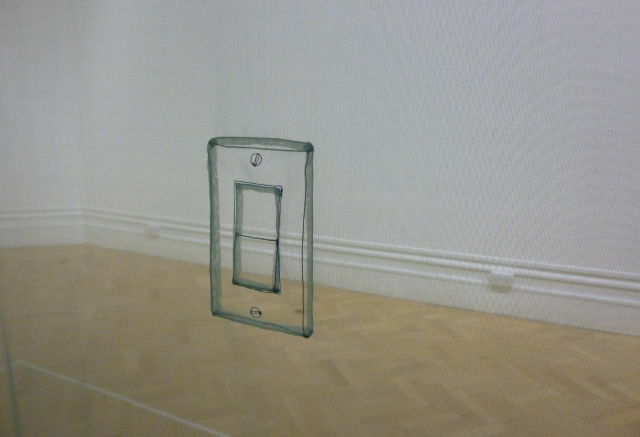 Bristol City Museum and Art Gallery is currently host to a curiously diaphanous exhibit. 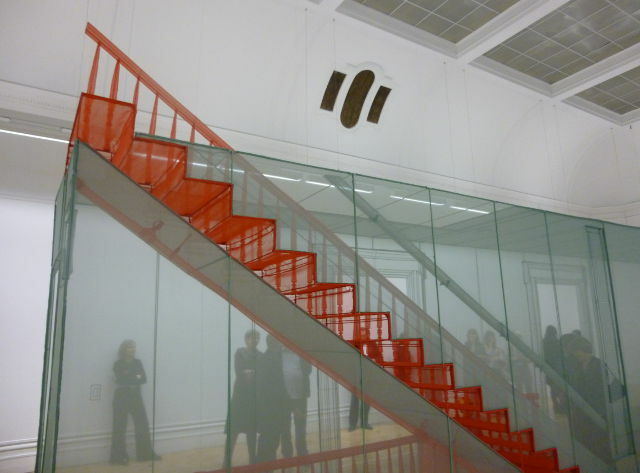 Created by South Korean installation artist Do Ho Suh, it replicates the corridor of an apartment he once lived in, in New York, and is remarkably detailed, from delicately stitched light switches to ventilation grills and pipes. The enticing staircase marked out in crimson is too delicate to climb, which means the city views from its rooftop can never be seen. 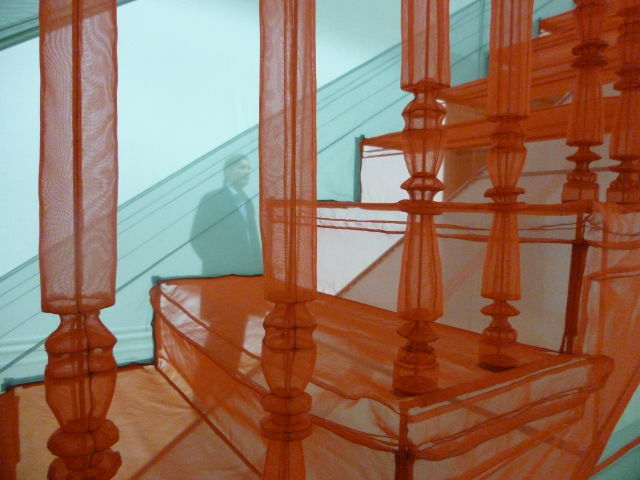 As people enter the corridor, the sheer fabric transforms them into ghosts of themselves – like a slow, thoughtful parade of Ho Suh’s remembered guests. It’s playful (as the artist’s fairy daughter demonstrates so well), contemplative and transportative – the most cerebral aspects of a Wendy house conjured into a work of art. 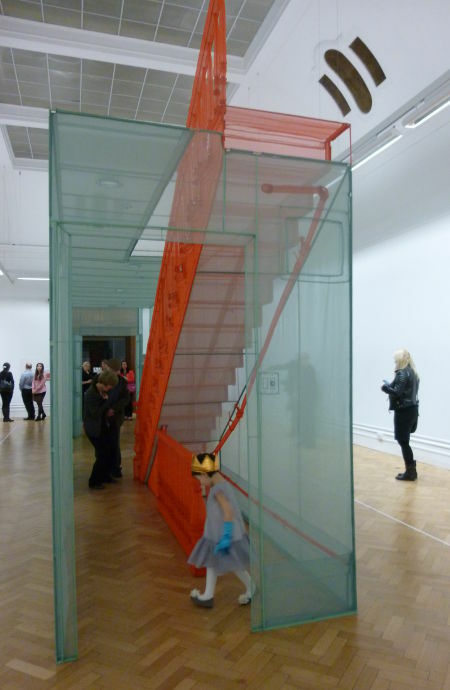 New York Apartment/Bristol will be on show at Bristol City Museum and Art Gallery until 27 September 2015.